Okay, I’ll admit taking an overnight hiking trip with a two-year-old sounds a little scary. But the fact is there is nothing most kids like more than spending a day or two in the woods–water, dirt, leaves, and bugs–what’s not to like? By age one, my daughter was already a veteran hiker (albeit on Mommy’s and Daddy’s shoulders), so when we decided to make the 11-mile roundtrip trek to LeConte Lodge in the Great Smoky Mountains National Park, she already had a bit of experience in these matters. 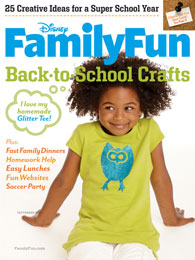 You can read the fully story of trekking to the park’s only hike-in lodge in the September issue of Disney’s FamilyFun. And read about more fun hikes in the Smokies in my new book Moon Blue Ridge and Smoky Mountains (Avalon Travel, 2010).